The Yankees rode the arms of Masahiro Tanaka and Aroldis Chapman, the glove of Aaron Judge and the bat of Greg Bird to to their first win in the ALDS. It was a very exciting game and one that cannot underestimate the value of Gary Sanchez’s defense behind the plate. After a postseason that was seen a bevy of starting pitching blowups in both leagues, this was a classic pitcher’s duel. Going against Cleveland Indians starter Carlos Carrasco, a “quiet” 18-game winner during the season, I figured that getting runs would be difficult. The Indians threatened first. With one out in the top of the 4th, the Indians got their second hit of the game when Jason Kipnis lined a shot into right field for a triple. 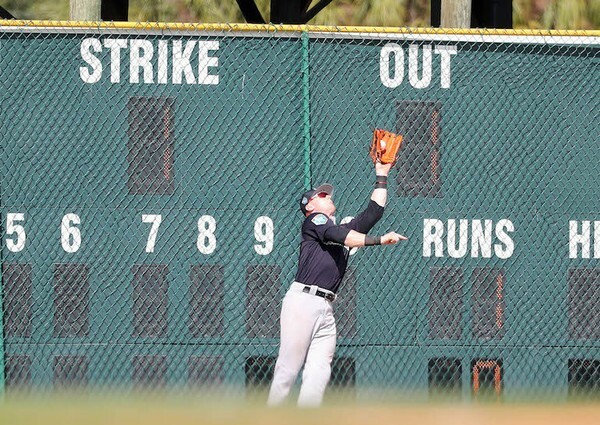 Aaron Judge, running hard, tried to reach the ball but it bounced off the palm of his glove. It looked like the Indians might score the game’s first run but Tanaka struck out both Jose Ramirez and Jay Bruce, very dangerous sluggers, to retire the Indians (much to the delight of the very loud Yankee Stadium crowd). 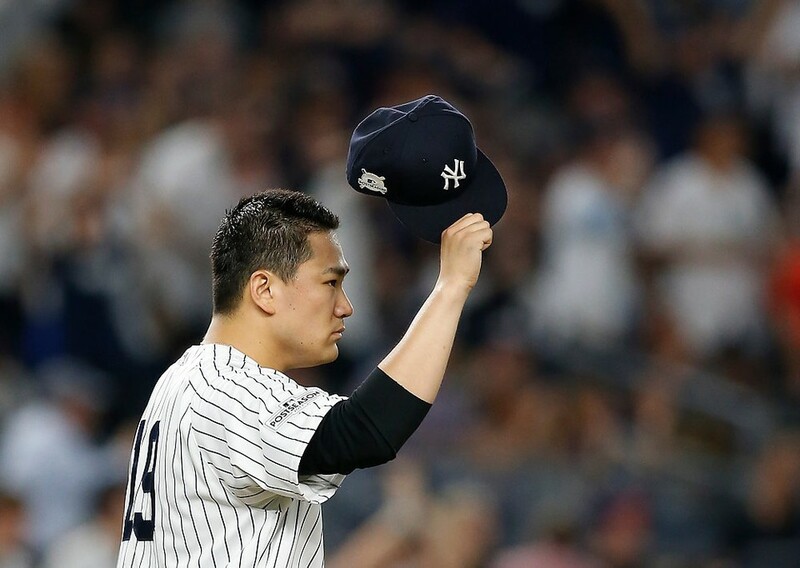 As great as Tanaka was pitching, the Yankees were unable to register their first hit against Carrasco until the bottom of the 4th when Didi Gregorius singled to center. He didn’t go anywhere but at least the Yankees had eliminated the goose egg under the hits column. Roberto Perez opened the top of the 6th inning for the Tribe with a single to left. Giovanny Urshela lined out to right for the first out to bring superstar Francisco Lindor to the plate. Lindor smoked a Tanaka splitter high to right field and it looked like the Indians might have the first runs of the game. Hold your horses! 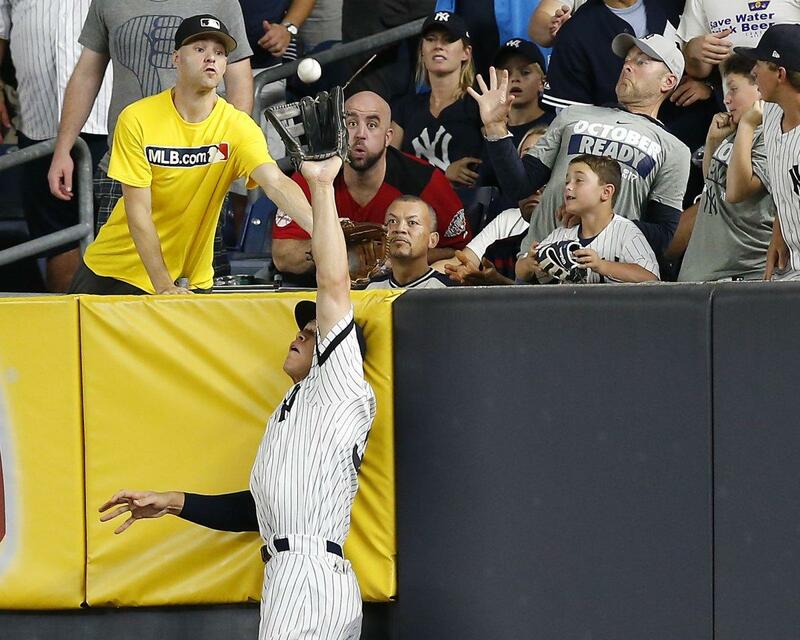 Aaron Judge perfectly timed his leap and with his glove stretched high from his 6’7″ frame, he caught Lindor’s ball from landing in the first rows of the right field seats. It was a brilliant game-saving catch. If you can’t beat them with your bat, beat them with your glove. While Tanaka was continuing to breeze through the Indians’ lineup, Greg Bird led off the bottom of the 7th against Miller with a massive home run into the second deck (almost into the third deck) of right field. Remind me again why we (which includes me) wanted Yonder Alonso, Justin Bour, Lucas Duda or Jay Bruce for first base before the trading deadline. 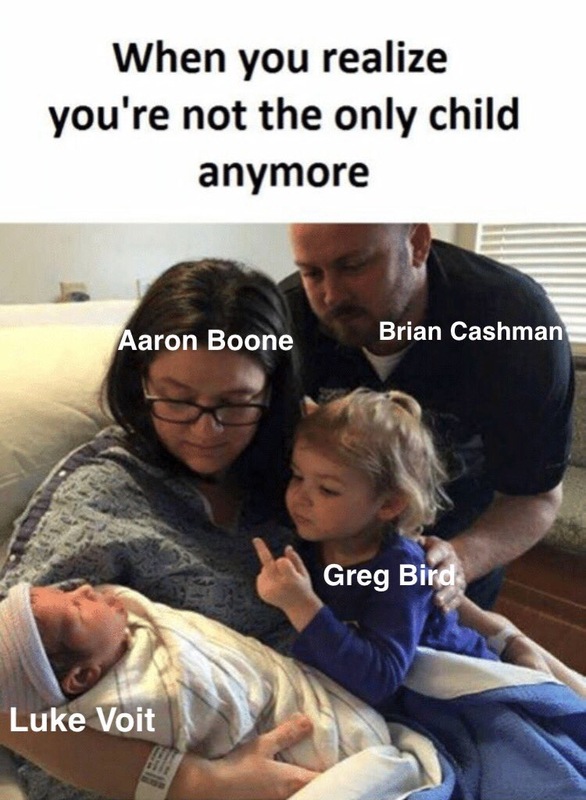 Bird is showing that he was the best first base “acquisition” of the second half. The Yankees were up, 1-0. David Robertson took over for Tanaka in the top of the 8th. He got Austin Jackson to fly out to right for the first out, but then he walked Michael Brantley on a full count. Manager Joe Girardi wasn’t going to take any chances so he pulled D-Rob and replaced him with Aroldis Chapman. 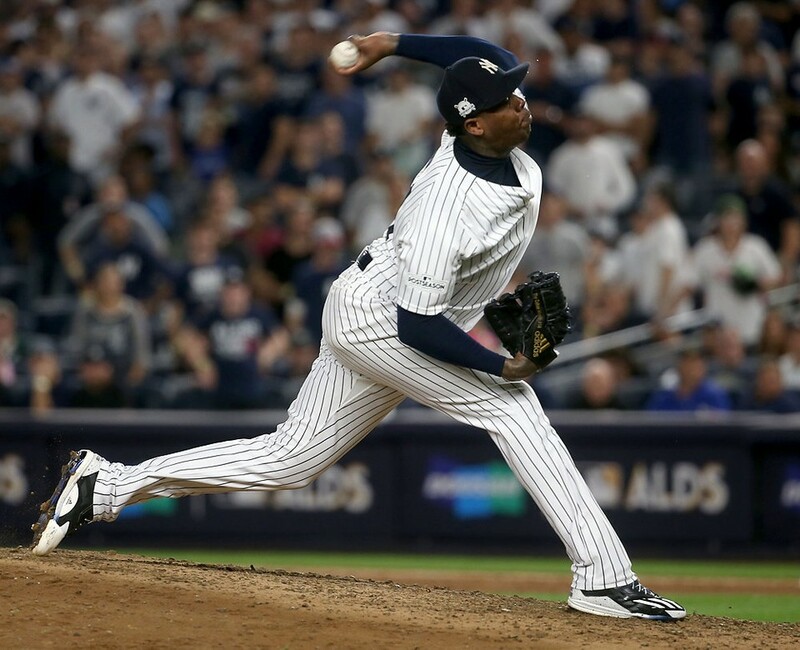 Chapman did his job, racking up two strikeouts on eight pitches. 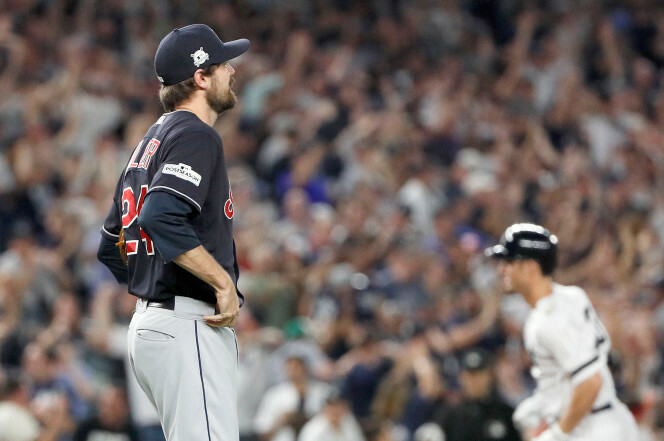 In the bottom of the 8th, with Olson still pitching for the Indians, Brett Gardner led off with a fly to center that dropped barely in front of the glove of center fielder Jason Kipnis for a double. The Indians brought in former Los Angeles Angels reliever Joe Smith who struck out Aaron Judge and Gary Sanchez. 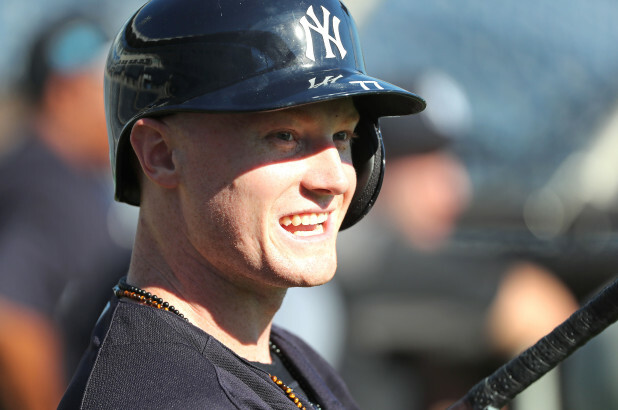 After Didi Gregorius was intentionally walked, Starlin Castro hit into a fielder’s choice at third to retire Gardy on the force out. I would have preferred an insurance run or two in that spot but it was not to be. 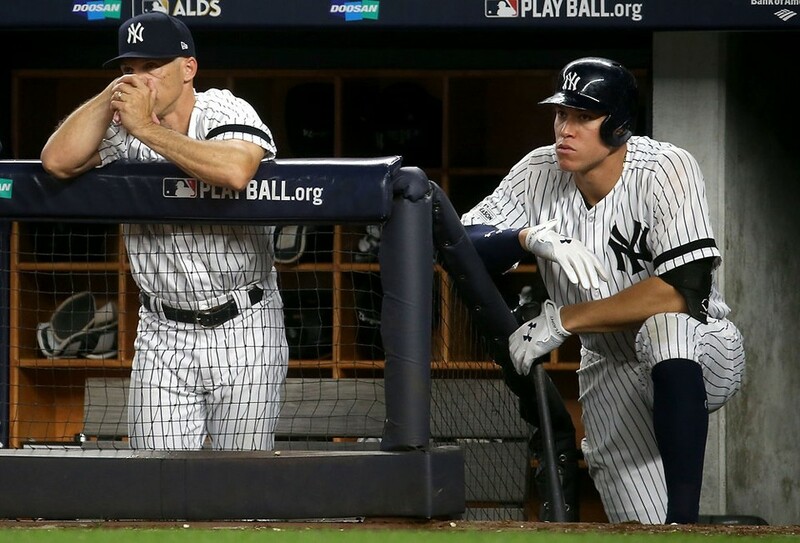 It was a nail-biter at the end but the Yankees persevered to live another day. I honestly didn’t think that Greg Bird’s solo home run would hold up as the margin of victory but to my pleasant surprise, it did. 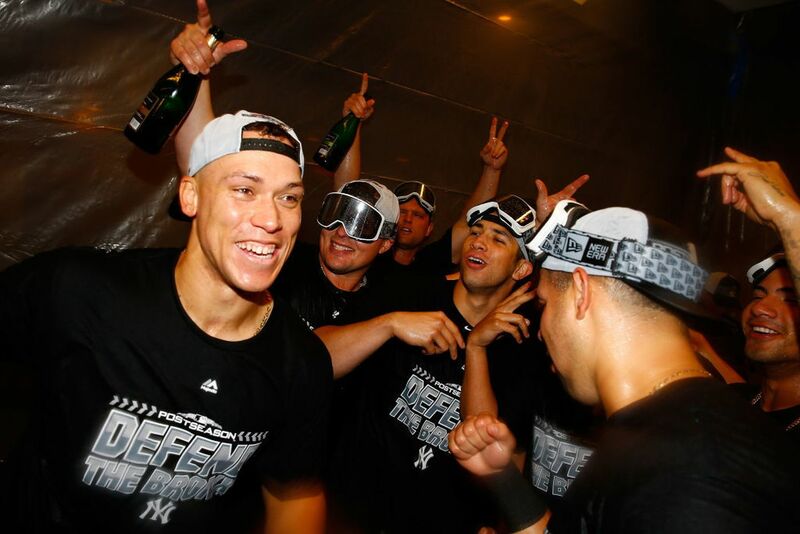 Clearly, if Aaron Judge hadn’t made that great catch in the 6th inning, there would be champagne stains on the floor in the visitor’s clubhouse. For today’s game, the Cleveland Indians have announced that Game 1 starter Trevor Bauer, pitching on short rest, will get the nod. 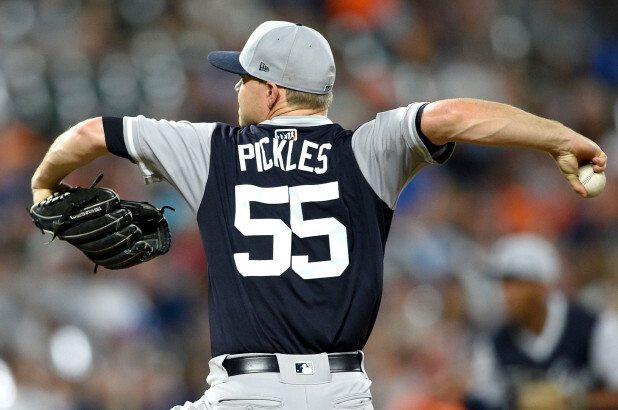 He’ll be opposed by Luis Severino who made the less-than-stellar extremely short start in the Wild Card game. Hopefully, Sevy will have the answer for his nerves tonight when he steps out on the main stage. His job is to get this series back to Cleveland and into the hands of Sonny Gray. Have a great Monday! Let’s even this series! Go Yankees! 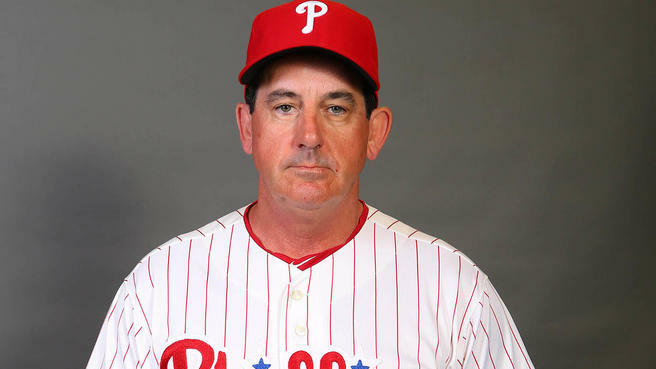 While I greatly respect Boston Globe columnist Nick Cafardo, his column today that implies the Yankees have come the closest in making a bid for Philadelphia Phillies starter Cole Hamels just doesn’t make sense to me. While I agree that Hamels is a top shelf starter, I find it very hard to believe that the team would be willing to part with top prospects and major league talent to acquire Hamels. This past winter, they could have acquired Max Scherzer for nothing more than money and a draft pick. If the team is serious about its bid to get younger, acquiring the 31 year old Hamels is not the answer. 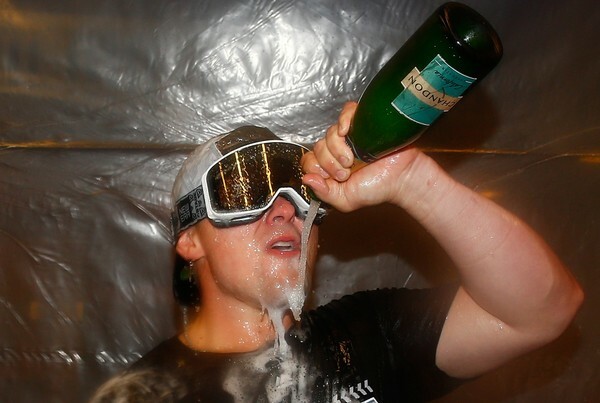 You’d only acquire Hamels if you legitimately felt you had a shot for the World Series. The Yankees are not at the doorstep for the Fall Classic and they wouldn’t be even if they acquired Hamels. I know there is great risk with any prospect and of course the path to the major leagues is littered by sure fire prospects who never made it. 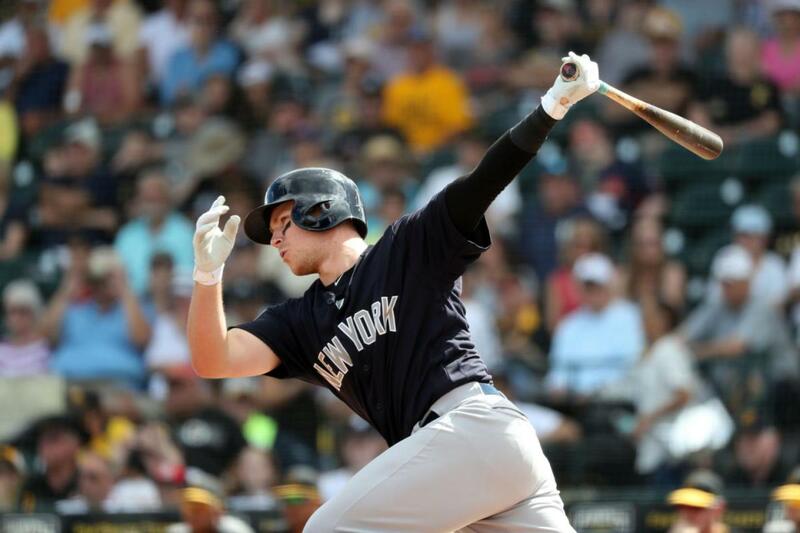 In the past, Yankee fans have been teased with the hype associated with players like Jesus Montero and Manny Banuelos. Montero is in Seattle and while he may still be the player people thought he would be, he hasn’t done it yet and despite his injury history, Michael Pineda is a better player at this point in their respective careers. Manny Banuelos is in Atlanta and he brought a couple of arms for the bullpen. 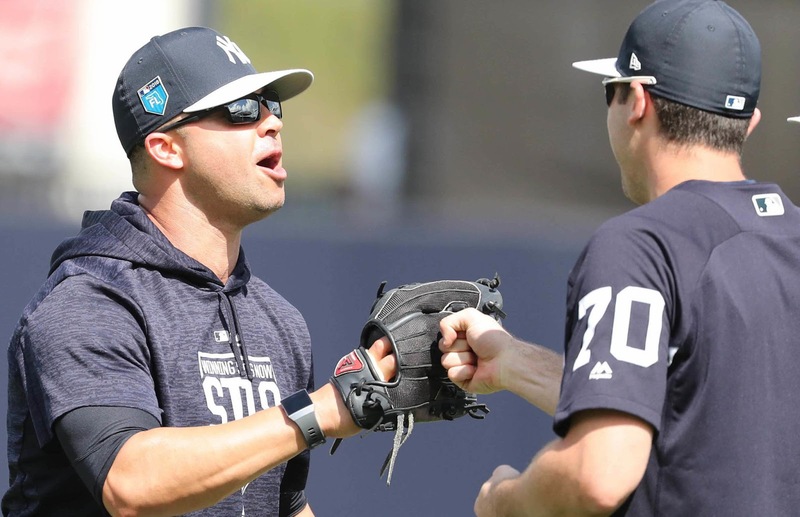 Perhaps guys like Gary Sanchez, Luis Severino and Aaron Judge are over-hyped because they are Yankees, but still, I would hate to see them leave and prosper in Philly. I am sure that I felt the same way about Montero and Banuelos at some point, but I do believe the Yankees have made a concerted effort to improve their drafts in recent years. At a time when there is competitive balance in the MLB thanks to profit sharing and luxury taxes paid by the richer teams and primarily the Yankees, the Yankees have the financial strength to employ the best scouts to uncover the diamonds in the rough. 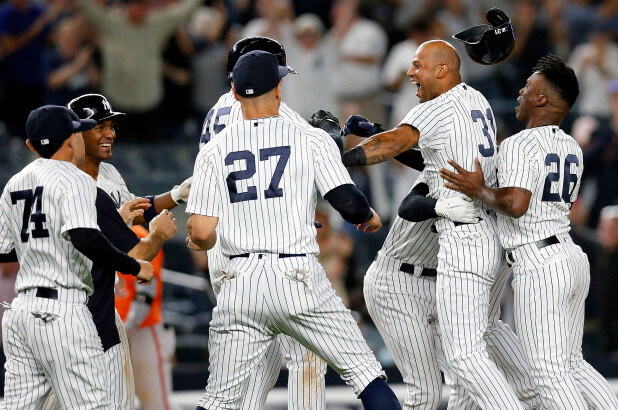 If over a century of Yankees baseball has proven anything, the Yankees know how to adapt and they’ll continue to do so. But the key is getting younger and getting more cost controlled players. That’s why a move for Cole Hamels just does not make sense. I would love to see Hamels in the Yankees starting rotation. 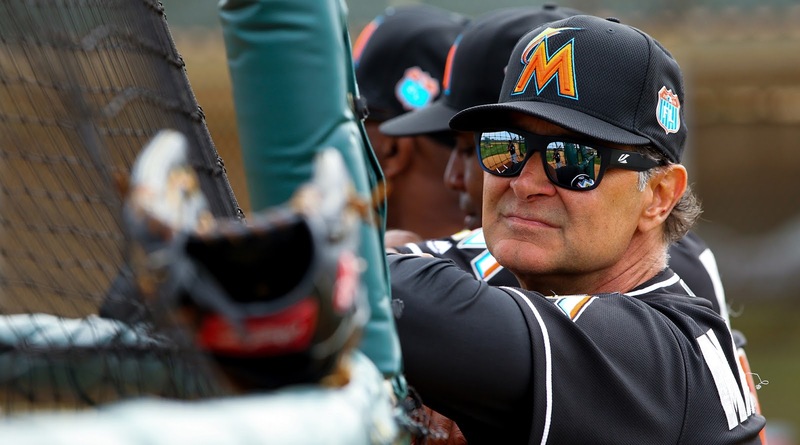 But I simply do not want to part with the farm system to do it. Whoever acquires Hamels is going to overpay. Let some other team overpay, even if it is the Boston Red Sox.